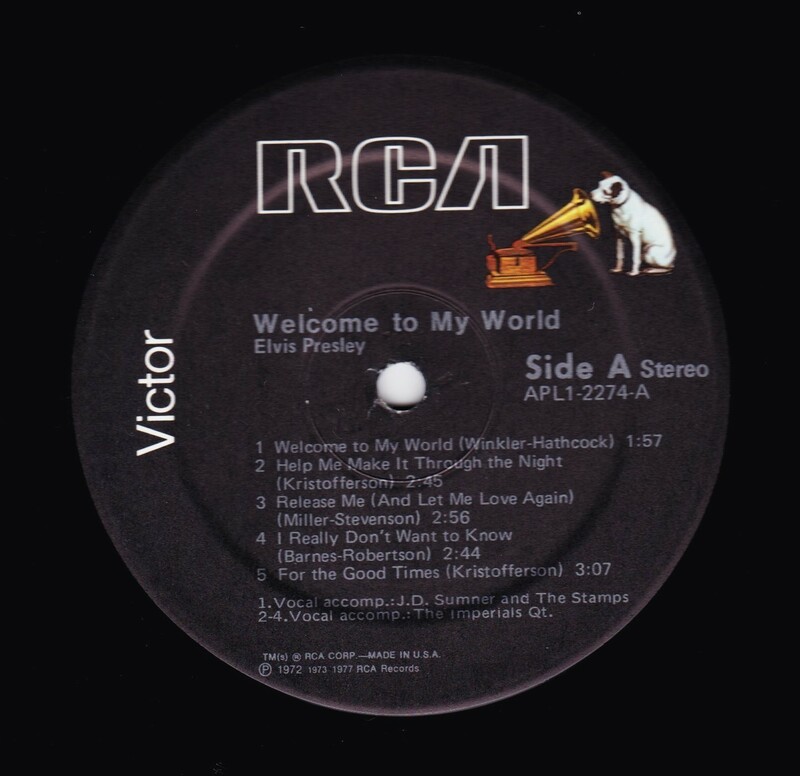 Welcome to My World was the title of a compilation album by Elvis Presley that was released by RCA Records in early 1977, just months before his death. 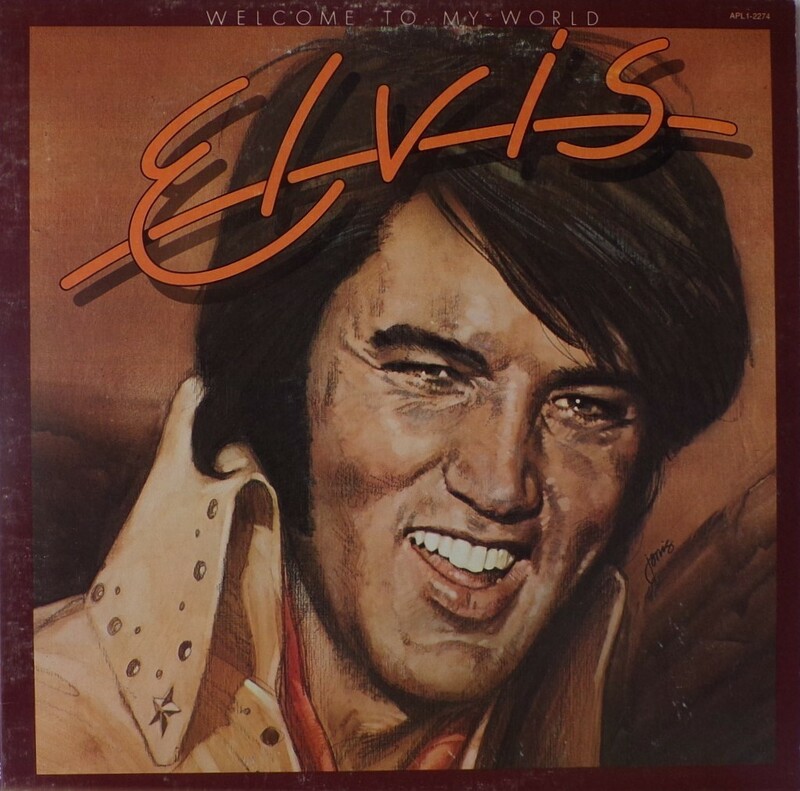 According to Elvis: The Illustrated Record by Roy Carr and Mick Farren, all but one track on this album had been previously released (one track, "Your Cheatin' Heart", dated back 20 years). 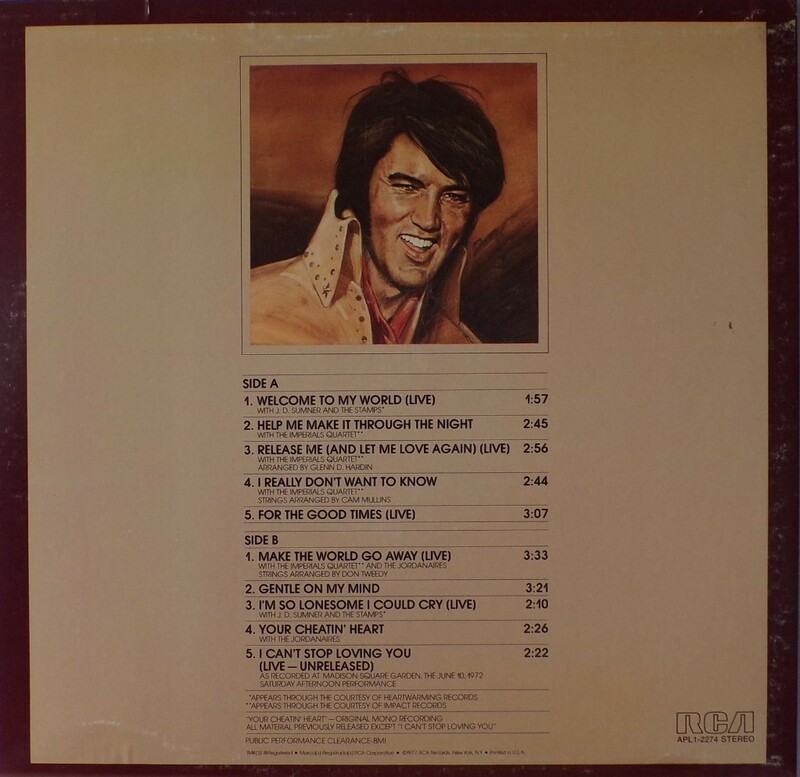 The only previously unissued recording is "I Can't Stop Loving You" which was taken from a 1972 performance in New York City that as of 1977 had not yet been released. (It later appeared on CD as An Afternoon in the Garden.) 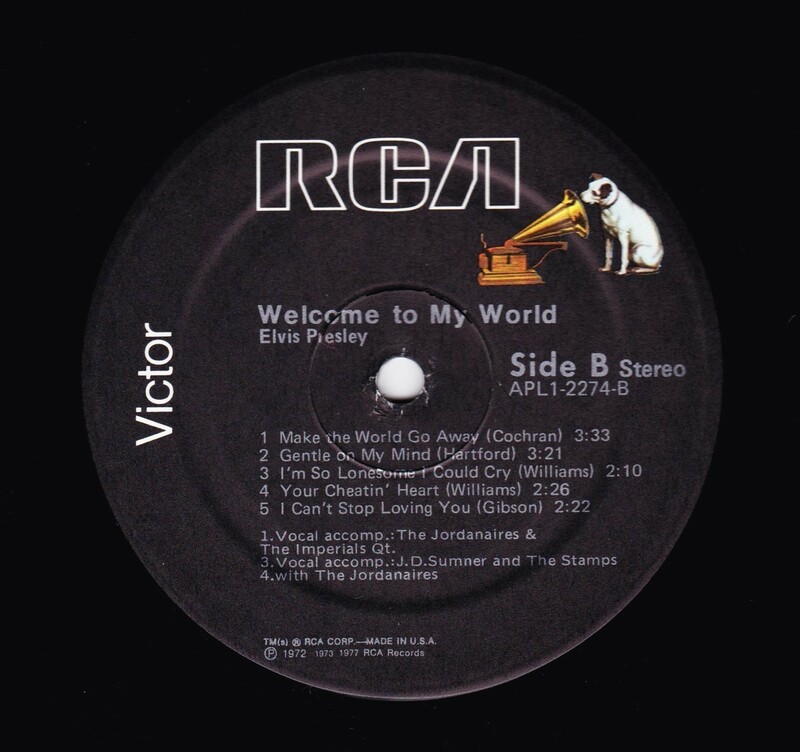 It was certified gold on September 30, 1977 and platinum on January 14, 1983 by the RIAA. *NOTE* New label variation discovered 3rd September 2017 . 13:50 pm. Ribbed label. Possible unknown pressing plant. "I" for Indianapolis is crossed through and " T " stamped next to it.